AAOS ICL Committee is responsible for the development of the annual ICL program on different sub-specialties of orthopaedic surgery. Dr. Li is going to serve as the Chair of the Sports Medicine and Arthroscopy committee from 2018 to 2020. 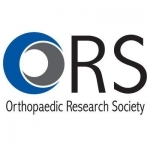 2018 ORS Program Committee has invited Dr. Li to moderate the shoulder and elbow podium session at the annual meeting. A total of 11 papers were presented of topics ranging from rotator cuff tears to shoulder arthroplasty. Dr. Li and Dr. Feely moderated the session and stimulated excellent discussion between the speakers and the audience. 2018 AAOS Instruction Course Lecture on Complex Shoulder Arthroplasty: Primary and Revision, Anatomic and Reverse, Three-Dimensional Planning: When and How? 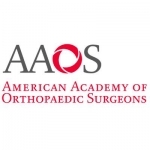 Dr. Li was invited by AAOS as a faculty member to participate on an expert panel to discuss the management of primary and complex shoulder reconstruction in an Instructional Course Lecture (ICL) at the annual AAOS meeting. My Morning Cup features the coffee rituals that most of us have. 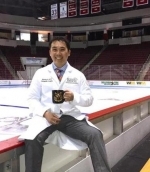 People from all walks of life — from US senators to ballplayers, subway drivers to college professors — have submitted entries that will run most days.Here, we reached Xinning Li, orthopedic sports medicine and shoulder surgeon at Boston Medical Center, by e-mail. The American Orthopaedic Society for Sports Medicine (AOSSM), which is the premier organization for sports medicine has invited Dr. Li as one of the expert faculty members for the 2017 Surgical Skill course. 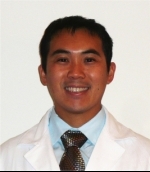 Dr. Li has been appointed to the Editorial Council of the Emerging Leaders Messenger by the AOA. The Emerging Leaders Program would like to recognize the members of the EL Messenger Editorial Council who will be providing an article in the Emerging Leaders Messenger for the next six months, starting in October 2017. Dr. Li has been featured by the American Journal of Sports Medicine (AJSM) for September Editorial Board Member Spotlight. 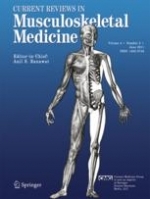 Dr. Li is on the AJSM electronic media editorial board and responsible for organizing webinars, social medial poster, podcasts, and one on one interviews with monthly spotlight authors. 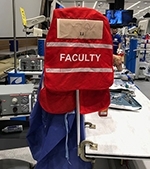 Dr. Li has been nominated by the Orthopaedics department to participate in a two-day course on leadership skills and critical management issues in health care. 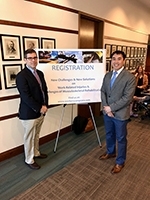 A total of 40 participants were selected from across the BMC health care system and BU medical school.